I find self portraits quite challenging. This one took quite a few attempts to get right. I wanted the image to have an over-exposed look so I increased the exposure slider in Lightroom. Camera: Canon 7D Lens: Canon EF 50mm f1.4 Settings: ISO 400, f4.0, 1/60 sec. I wanted to experiment a little with this shot. 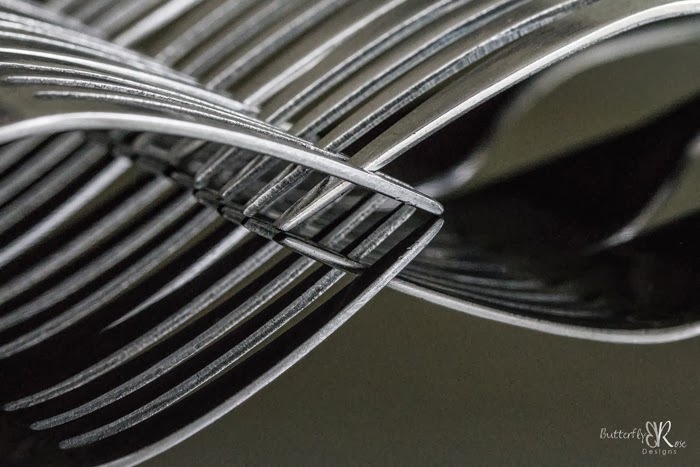 I linked up several forks in a row and placed them on a high gloss black board to get the reflection. Camera: Canon 7D Lens: Canon EF 100mm f2.8L macro Settings: ISO 6400, f10, 1/200 sec. The description for the prompt didn't arrive today, so that made this a little more interesting. 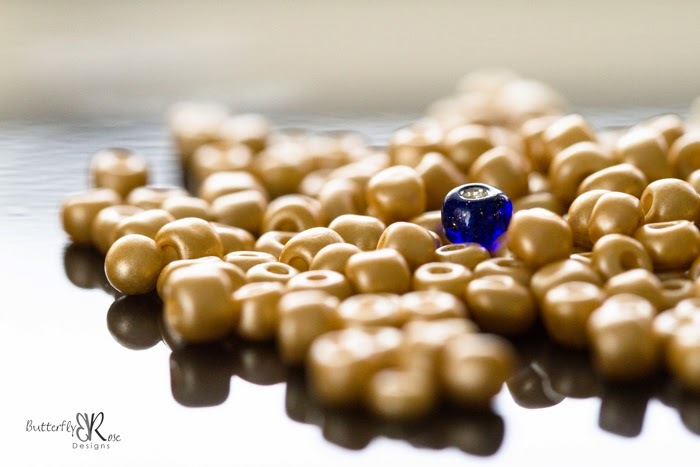 A single blue bead stands out from the crowd. At only two millimetres in size, these little guys were tricky to work with. But, after several attempts at setting up the scene (including chasing any runaway beads) I finally managed to get the shot. Camera: Canon 7D Lens: Canon EF 100mm f2.8L macro Settings: ISO 1250, f5.6, 1/250 sec. Very clever - and beautiful.